Huge 4 Suite Revenue Property (3 authorized), @ corner 15th Ave & Arbutus Greenway in 1st class/Lower Shaughnessy area. 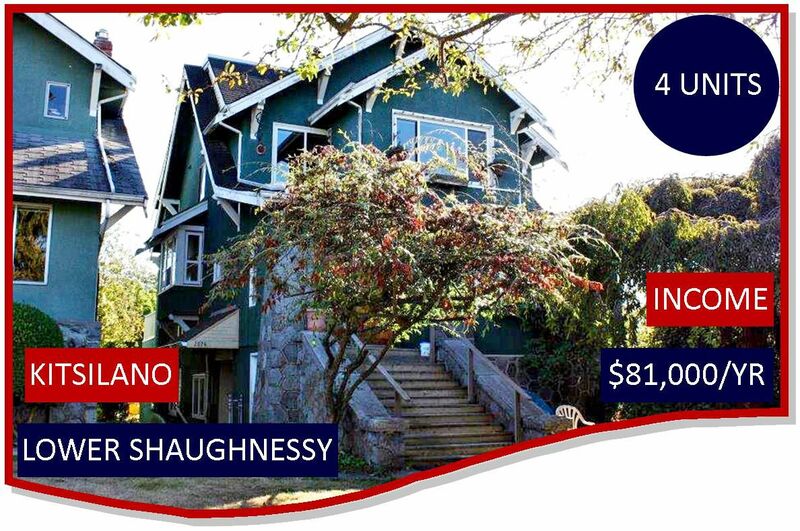 4541 SF 4 level Building in decent condition, contains 1.Top: 1650 SF, 2 level, 4/5 bdrm, 1.5 bath suite with a huge deck; 2. Main Floor: 1370 SF, 4 bdrm, 2 bath suite: 3. Ground: 1100 SF (approx) 3 bdrm, 1 bath suite; and 4. Ground: 350 SF s/c studio suite. Current rents $6750/mo, $81,000/yr - well below market. 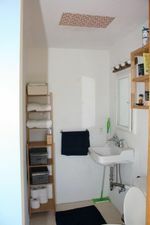 Contains 4 elect meters (tenants pay heat/light), shared laundry, 2 wood burning f/p & 1 gas f/p, 4 car open parking. Excellent Value - $337,000 below Assessment! Great for owner occupiers & shared ownership, RT-8 zoning w/redev potential. Call LS for info pkg, floorplan. Showings 48 hrs notice by Appt. Showing Thur Mar 8th @ 3:30pm gone by 4:15pm by Appointment.